As we enter the fall season thoughts automatically turn toward winterizing vegetable and flower gardens during the coming weeks. The variety of blooming flowers diminishes as colors across your property fade to shades of brown. Fewer crops remain in the vegetable patch waiting to be harvested before the soil is tilled for the final time. The leaves on the trees begin to take on brilliant colors before they are shed from the branches. And for many gardeners, it’s a time to reflect back on which plants thrived well and should be planted again, which should be divided to boost new planting beds, and which dead plants need to be removed to the compost pile. Homeowners across the Twin Cities region follow these preparations to ensure a thriving planting season in the spring. Clearing out and cleaning up any dead plants. It’s much easier to remove the dead plants now than to wait until next season. If you’re a composter this also allows more time for plants to breakdown to provide a rich compost for next year’s garden. Plan to protect winter sensitive plants. Add a layer of leaves around the base of rose bushes. Add a layer of straw around strawberry plants and other wintering vegetables. 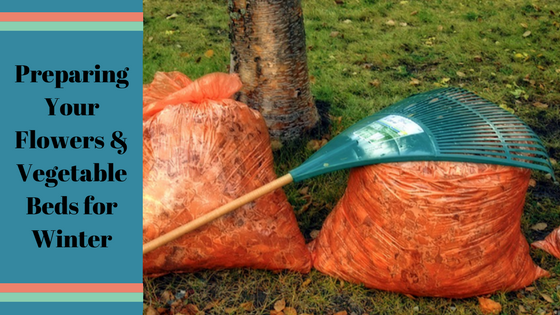 Mulch your leaves. As you continue to mow your lawn consider mowing the leaves as mulch for both the lawn and adding to your garden soil. Next season’s vegetables will appreciate the enriched soil and thrive during growing season. Protect thin-barked trees. To give these thinner barked trees a little extra insulation over the colder wintry months ring them in a circle of rodent protective fencing. Empty rain barrels. To guard against frozen water splitting or cracking a barrel be sure to empty and stow away your rain barrels. Planning to winterize your home property each fall season will keep it well maintained and looking its best—adding to your property value and curb appeal. Doing these things consistently not only makes gardening in the spring easier and more enjoyable, it makes your house attractive to prospective buyers should you decide you’d like to place your home on the market in the future. If you’re considering buying or selling a home in the Minneapolis/St. Paul area, please think of Tom Schooley of RE/MAX Alliance Realty first! Otherwise, do you find these tips helpful? What other tips have you learned to winterize your gardens? If you like this info, please share with your friends.